Its truly in the middle of nowhere, but it's an incredibly challenging track with lots of vertical to complicate things and create a lot of blind horizons. 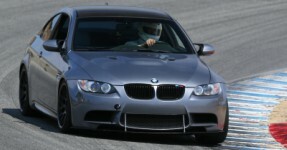 It was a great track for the E90. I went on a PCA Club day and had a great time with the GT3s and GT3RSs. Much different that the local PIR or Pacific Raceways. I'm looking forward to The Ridge (and coilovers). Yeah, holy crap elevation change and blind crests! It's a hoot. So much fun. This is CCW, the "normal" layout is clockwise. Looks like fun but yeah, the horizon is pretty sparse. What's the nearest town? just dive bomb. you know this.